Aviso builds software to supercharge how enterprises make critical revenue decisions. Founded in 2012, the company brings advanced portfolio management principles to business executives making critical revenue decisions. The company was created after the founders realized that people make better decisions when they properly account for risk. Aviso Insights offers a revenue intelligence platform designed to improve a user’s ability to exceed quarterly targets, make decisions with confidence, and drive results with more predictable outcomes. 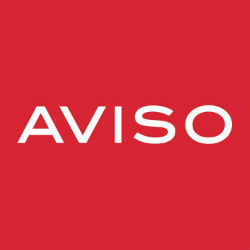 Crafted for medium and large enterprises, Aviso is built to enable organizations to achieve total revenue intelligence across critical sales and revenue functions. Using advanced machine learning algorithms and portfolio management frameworks, the platform extracts, analyzes, and provides insights to anyone responsible for revenue to generate scenarios, predict outcomes, understand risks, and make better decisions to improve their ability to hit or exceed their targets.